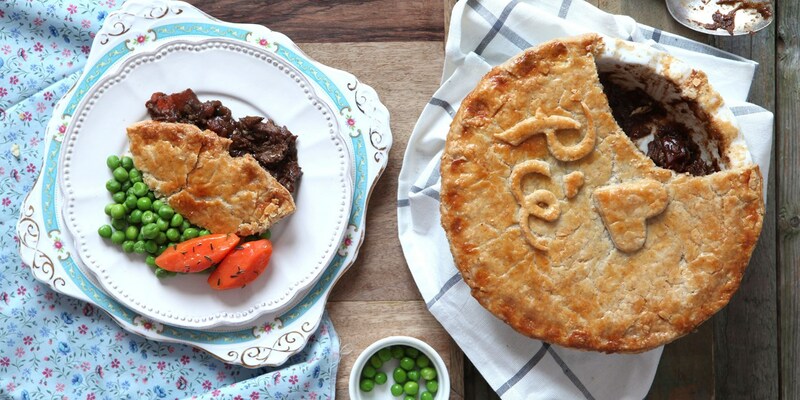 There is something distinctly British about a beef pie. Whether it's a steamed with kidneys, smothered in mashed potato or braised in ale and topped with golden pastry beef works wonderfully in a variety of meat pies. Think carefully about the cut before you buy - both blade and shin lend themselves particularly well to slow cooking, making them excellent options for a pie filling. While pastry purists might vehemently oppose its classification as a pie, there is no denying that Adam Byatt's Beef and onion cottage pie recipe makes a wonderful supper in the warmer months. For a take on a pub classic try Paul Foster's Steak and ale pie, given a touch of refinement with a serving of caramelised celeriac on the side.